There is a never-ending stream of interesting art shows to see in New York, and coincidentally two now explore art produced in almost contiguous periods during the twentieth century. 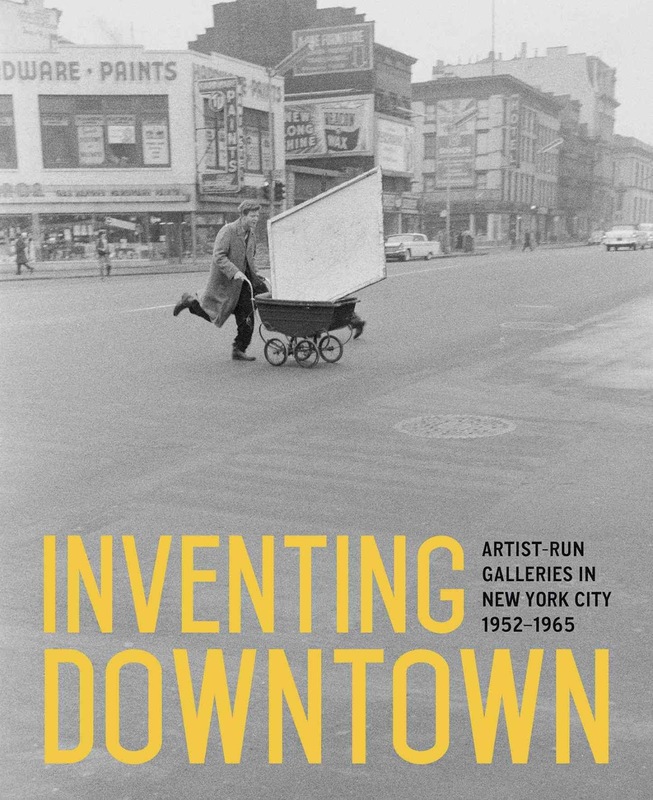 Inventing Downtown at the Grey Art Gallery at New York University on Washington Square is about artist-run galleries in New York from 1952 to 1965, and Fast Forward at the Whitney Museum of American Art is comprised of paintings produced in the 80s. TD and I thought it would be fun to have a look at both. At mid-century in New York City, art galleries were located in midtown on 57th Street. The exhibit at the Grey Art Gallery shows how the art scene was transformed when it moved downtown as artists created their own galleries. There was lots to look at. 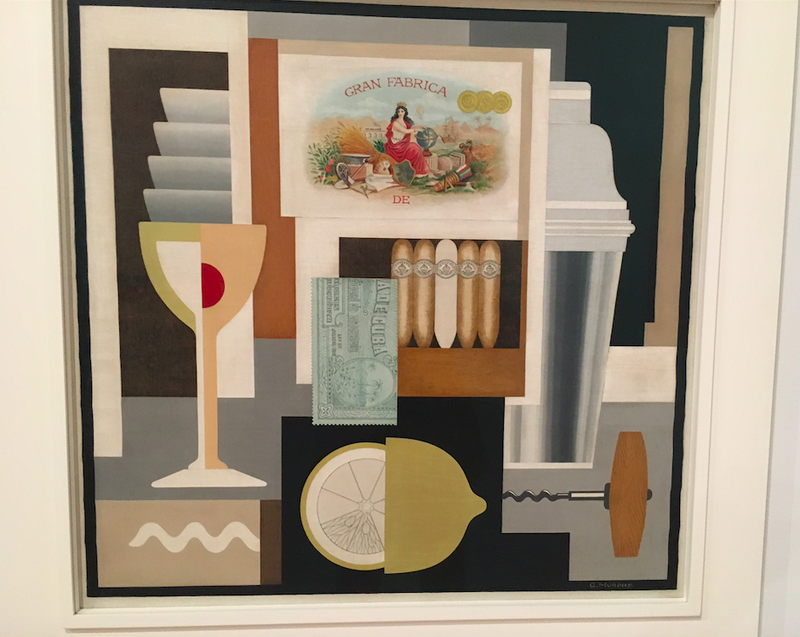 I particularly liked the Rauschenberg collage pictured at the top. The work of this artist has always hit me. It's abstract and a mix of various media but something about it strikes me emotionally. How did he do that? I was also drawn to the painting below of the great American poet Frank O'Hara by Wolf Kahn from 1954. In 1966, Frank O'Hara fell asleep on the beach on Fire Island and was hit by a Jeep in the dark and killed at age 40. Downstairs was a section devoted to Judson Memorial Church, where TD and I are members. Judson has always been committed to social justice and the arts, and in the 60s, Judson invited artists including Jim Dine and Claes Oldenburg to exhibit their work in its basement gallery. It's fascinating history. At the new Whitney Museum of American Art in the Meatpacking District, architect Renzo Piano has designed a wonderful building. I like it much more than the Marcel Breuer-designed Whitney uptown on Madison Avenue, which is now part of the Metropolitan Museum of Art. At the new Whitney, outdoor decks and stairways offer striking views of the city. The Fast Forward exhibit states that in the 80s when artists were turning to new media like video and art installations, many artists actively embraced painting. As the elevator doors open on the top floor on this exhibit, the visitor is greeted by an eye-popping Kenny Scharf painting layered on top of a Keith Haring panel. On the other side of the entrance, a Jean Michel Basquiat painting is hung on the same. The combination is strikingly graphic. When I moved to New York I once saw Andy Warhol come into the nightclub Area with Jean Michel Basquiat. And the Palladium club had a room painted by Kenny Scharf. This all takes me back. This exhibition was only in three gallery rooms. We were surprised that it was not bigger. Surely a show on 80s paintings could be more extensive. Also, two whole floors of the Whitney are now closed where the 2017 Biennial, which opens on March 17, is now being mounted. The exhibit includes a giant Julian Schnabel painting on velvet, and a serene abstract painting by Ross Bleckner, which looks like lights glowing in the dark. We headed down one flight of stairs at the Whitney to an exhibition of portraits. We'd seen this show already but we took a quick spin through. A self-portrait of sorts is a painting called Cocktail by Gerald Murphy who is one of my very favorite characters. If you haven't read about the fabulous Murphy's do yourself a favor and read Living Well Is the Best Revenge by Calvin Tompkins and then read Everybody Was So Young by Amanda Vaill. No wonder no one looks happy. Porter and Schuyler were also friendly with Frank O'Hara. – a fitting expression of the range and diversity of American art, which has been fostered and nurtured in New York City.